Next on The Scoop: Monday Movie: Foxy! 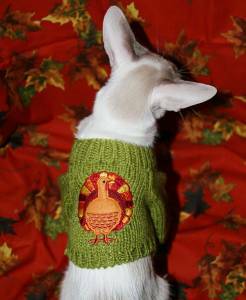 If you decide to feed your pet a little nibble of turkey, make sure its boneless and well-cooked. Don’t offer her raw or undercooked turkey, which may contain salmonella bacteria. Don’t spoil your pets holiday by giving him raw bread dough. According to ASPCA experts, when raw bread dough is ingested, an animal’s body heat causes the dough to rise in his stomach. 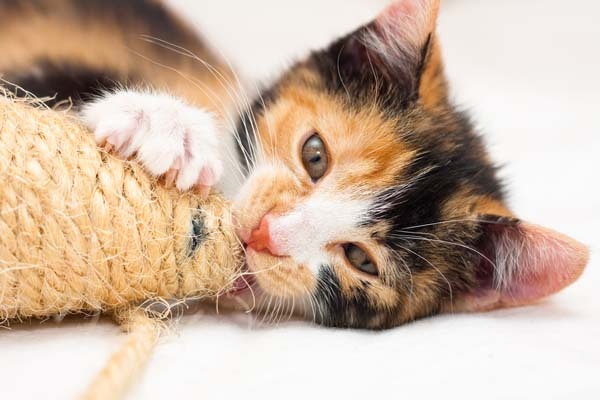 As it expands, the pet may experience vomiting, severe abdominal pain and bloating, which could become a life-threatening emergency, requiring surgery. If youre baking Thanksgiving pies and cakes, be sure your pets keep their noses out of the batter, especially if it includes raw eggsthey could contain salmonella bacteria that may lead to food poisoning. Of course, the safest route is to avoid feeding Fluffy table scraps entirely. For the ASPCA’s safe Thanksgiving guidelines, go to ASPCA.org. 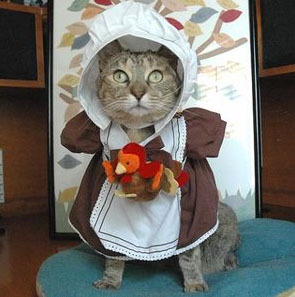 Make sure that if you truss your turkey, the string is disposed of where your cat can’t find it. Turkey-flavored string is appealing to cats. If ingested, it may need to be removed via surgery. Having holiday guests? Keep your cats sequestered in a quiet room so that they don’t escape to the outdoors when Uncle Fred leaves the door open for the eightieth time (despite being told eighty times to keep in closed). If young children are visiting you, spend a few minutes educating them about proper cat-handling (No tail-pulling. No loud noises. No sudden movements. Let the cat come to you.) If your cats are not accustomed to having children around, supervise the interactions until you’re comfortable that neither the kids nor the kits will harm one another. 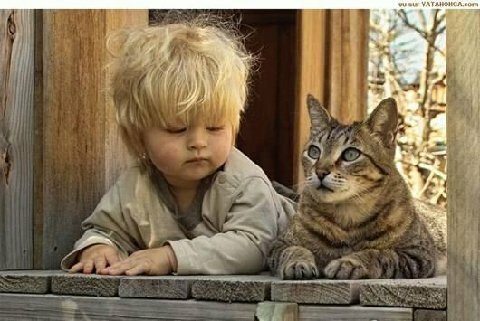 A good experience could turn the child into a lifelong cat lover. The ASPCA is an excellent resource for any animal poison-related emergency, 24 hours a day, 365 days a year. If you think that your pet may have ingested a potentially poisonous substance, call (888) 426-4435. A $60 consultation fee may be applied to your credit card.